It was a long weekend last week. It was loaded with loads of dishes and fun. I didn't get time to cook (click) anything for the blog. As usual, I had to dig out my drafts to post something today. 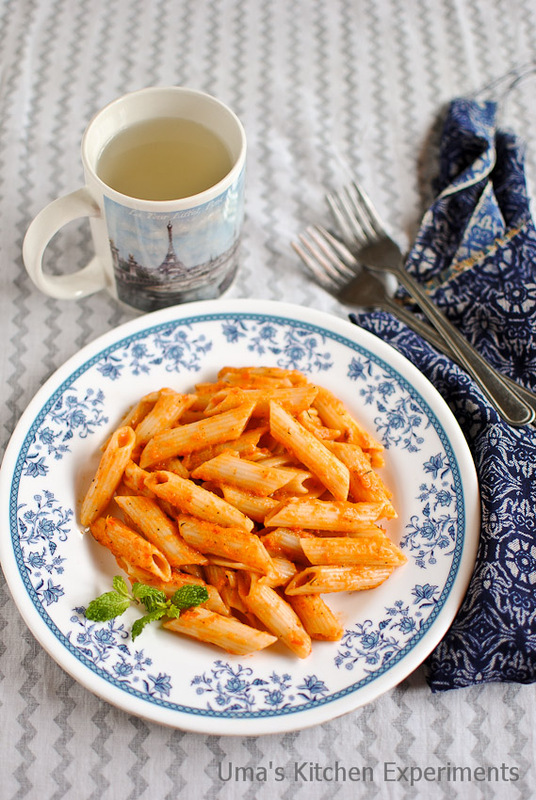 Found couple of 'how-to's and a simple, quick, delicious pasta recipe. 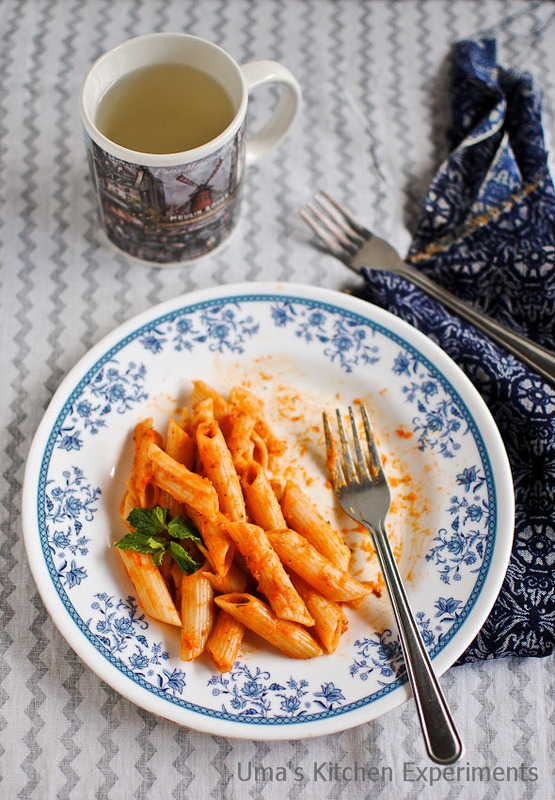 'How-to's obiviously take a long time to edit and publish and so I picked up the pasta recipe. It was prepared from the pioneer woman and tweaked as per my personal need. 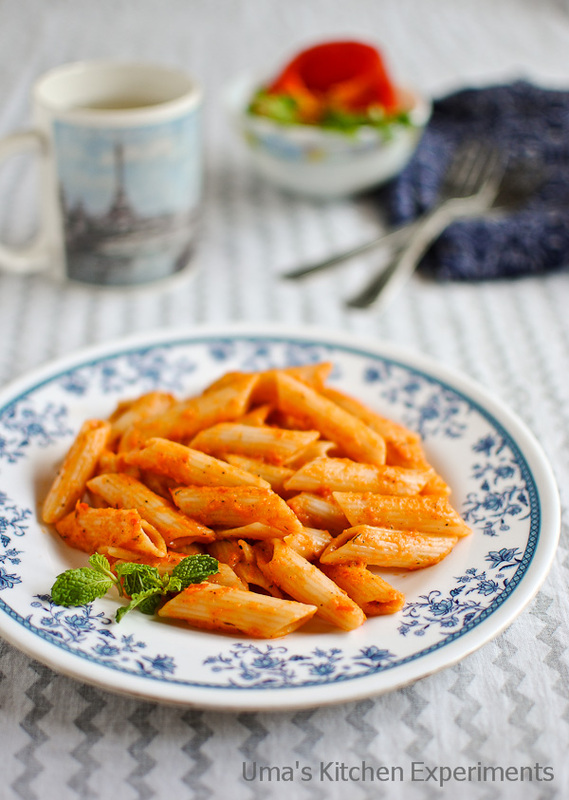 The recipe video is given below that is been prepared using farfalle pasta. 1) Wash pasta well and cook as per the instructions given in the pack. 2) In a pan, heat 2 tablespoons of butter. 3) When it melts, add garlic. Fry for a minute. 4) Add onion. Saute it until it becomes soft. 5) Add red bell pepper. Saute till it becomes soft. 6) Allow these ingredients to cool. Once it is cooled to room temperature, grind it to a smooth paste. If required add very little water(a tablespoon). 7) In the same pan, heat remaining butter. Add the ground puree to it. Use 1/4 to 1/2 cup of water to rince the mixie jar and pour to the pan. Mix well. 8) Add dry herbs, black pepper powder and salt. Taste and adjust spices. 9) Allow it to cook until it reaches the sauce consistency. 10) Add the cooked pasta to it after draining the water completely. 11) Mix well carefully without breaking pasta. 1) Use any of your favorite shaped pasta. Instead of butter you can also use olive oil. Use freshly ground black pepper for nice flavor. Very tempting pasta .. I love the picture also.. 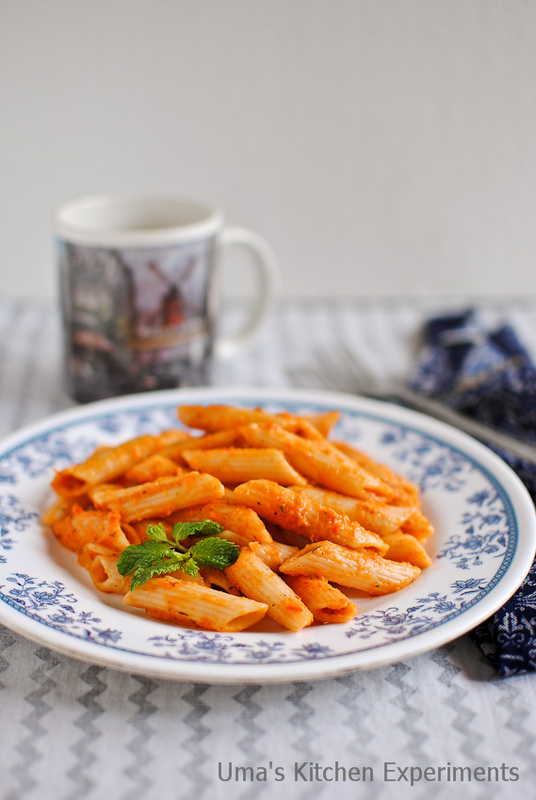 I can happily have this pasta anytime, inviting. oh wow...now i knew how to use bell peppers other than curries...wonderful recipe dear..
i have tasted this long time back ! its yummY! 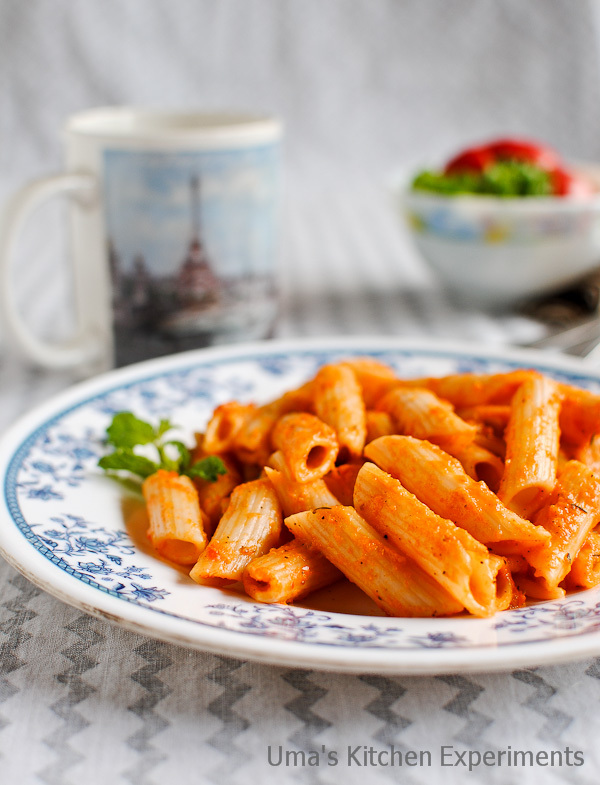 Delicious and lovely looking pepper pasta. Excellent preparation. Looks delicious! Very nicely made!